Psychotherapists Jane Hirschmann and Carol Munter developed the terms stomach hunger and mouth hunger to help overeaters distinguish between physical and psychological hunger. These concepts will help you sort out your eating as you put diets behind you and learn to trust your own reliable internal cues to tell you when to eat. 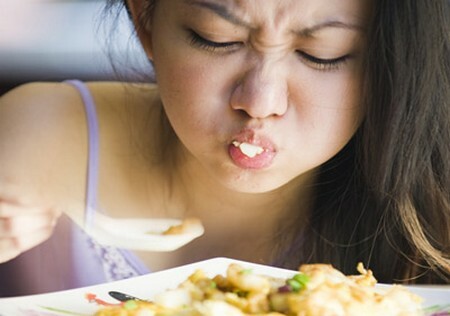 Stomach hunger refers to physiological-based eating. This term reinforces the idea that the cue to eat originates in your stomach. Each time you experience physical hunger, play it up by reminding yourself that it is wonderful that you are hungry¡ªyou get to eat! In fact, for a diet survivor, stomach hunger indicates not only that you get to eat but that you must eat. This attitude counteracts some of the damage done to you by dieting. If you’re like most dieters, there were times you felt very hungry but ignored these signals so that you would eat less. This behavior made you feel virtuous, in control¡ªand physically uncomfortable. Although this is normal behavior for a dieter, it makes no sense! The concept of stomach hunger also helps reduce guilt associated with eating. Dieters spend much time feeling bad about decisions to eat, creating anxiety and negative feelings. Instead of experiencing a constant sense of doing something wrong, embrace this consistent, reasonable way to determine when to eat. Tell yourself, “I am hungry. This means I am supposed to eat!” Over time you’ll find that you experience great pleasure and calmness from your ability to identify your hunger and feed yourself. Mouth hunger refers to psychological-based eating, which means reaching for food when you’re not physically hungry. Maybe you’re eating for emotional reasons or because something looks good. Whatever the source, it has nothing to do with a physical need for food. It’s important to note that early on most of your eating will continue to be from mouth hunger. Remember, if you could simply read about these concepts¡ªeating when you are hungry, eating what you are hungry for, and stopping when you are full¡ªand then implement them immediately, you would not be a person struggling with an eating problem. 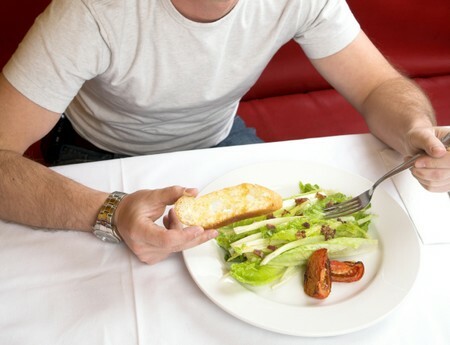 Furthermore, if you try to view this as the new, correct way to eat and berate your mouth hunger, you’ll only feel like you’re on another diet; the Stomach Hunger diet! Trust us, this process takes time and practice, but you will see progress. For now, focus on collecting stomach hunger experiences, one at a time. Diet survivors must let go of the diet mentality of being “good” or “bad” and instead think about a general move in the direction of stomach hunger. You’ll find a strong incentive to move in this direction: you feel much better, physically and psychologically. Each time you reach for food, ask yourself, “Is this stomach hunger or mouth hunger?” If the answer is stomach hunger, tell yourself that it means you need to eat, and ask yourself what you are hungry for. If the answer is mouth hunger, don’t beat yourself up. Simply ask yourself if you can wait until you feel physical hunger. If you can, fine. If not, eat without a word of reproach to yourself. Activity: Building Stomach Hunger Experiences The idea of a savings account is a useful way to collect stomach hunger experiences. Here is a deposit slip to get you started!